Dr. Suzanne Zeedyk is a research scientist fascinated by babies’ innate capacity to connect. Since 1993, she has been based at the University of Dundee (Scotland), within the School of Psychology, where she now holds an Honorary Post. In 2011, she stepped away from a full-time academic post in order to establish an independent training enterprise, the aim of which is to help the public understand what science now understands about the importance of emotional connection for human health and happiness. 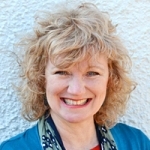 She works internationally with organisations keen to think more deeply about fostering connection, compassion and resilience. In the last 5 years, more than 40,000 people have attended her speaking events. Suzanne’s core aspiration is to strengthen awareness of the decisions we take about caring for our children — because those choices are integrally connected to our vision for the kind of society we wish to build. More information is available on www.suzannezeedyk.com. Human infants are born already connected to other people. Over the past 30 years, science has gained a much better understanding of the sophistication of babies’ innate social capacities, including the way that infants’ early emotional experiences drive brain development. Many practitioners remain unaware of these discoveries, despite the implications they hold for delivering high-quality care. This presentation will review these discoveries and reflect on what they tell us about our own humanity. Emotionally healthy individuals and emotionally healthy societies rely on empathy, resilience and trust. These qualities are precisely the ones being wired into the brain in the earliest years of life.